Trash juggernaut "Fifty Shades of Grey" continues to rake in the dough, and not just through book sales. The classical-music album that was spawned from the racy bestselling trilogy of novels has taken the No. 1 spot this week on the Nielsen Soundscan classical albums chart. 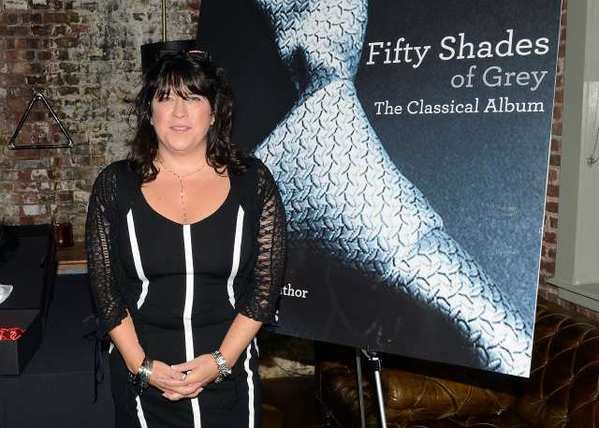 "Fifty Shades of Grey: The Classical Album" features Baroque, choral and operatic pieces that are referenced in the novels. The album was released last week on Capitol Records and includes 15 tracks selected by author E.L. James. "Fifty" came in at No. 1 on the Nielsen classical-album chart for the week ending Sept. 16. It beat out "Il Volo ... Takes Flight," from the popular operatic-pop group, which came in second place for the week. The "Fifty" album spotlights the music of Thomas Tallis, the 16th century English composer. His sacred work "Spem in Alium" plays in important role in the novel. The album also includes such familiar classical standards as Pachabel's Canon in D and the "Flower Duet" from Delibes' opera "Lakme."